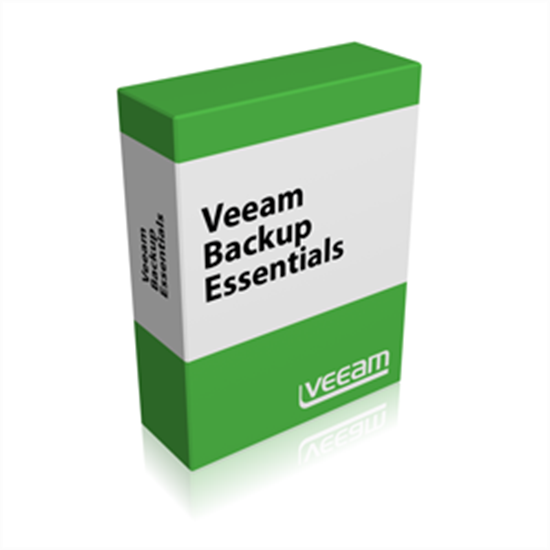 Veeam® Backup Essentials™ gives you the ultimate small business pack, delivering the same functionality of Veeam Availability Suite™ at HALF the price! It is specially packaged and priced for small businesses with virtual environments of 2, 4 or 6 CPU sockets (typically found in companies with fewer than 250 employees). Includes Veeam Backup & Replication and Veeam ONE. Enterprise-level data protection for small businesses – Save up to 60% or more! Veeam Backup Essentials™ delivers the same reliable benefits of Veeam Availability Suite but is specially packaged and priced for small businesses at a savings of up to 60% or more. By combining Veeam Backup & Replication with Veeam ONE, Backup Essentials delivers enterprise-level data protection and time-saving monitoring, reporting, and capacity planning for small businesses with less than 250 employees managing virtual environments of 2, 4, or 6 sockets. Veeam Backup Essentials combines the award-winning data protection and virtualization management expertise of Veeam Backup & Replication and Veeam ONE for VMware vSphere and Microsoft Hyper-V.
Veeam Backup Essentials is purchased in 2-socket bundles, and customers may purchase a maximum of 3 bundles (6 CPU sockets).